Respect the San Francisco City Hall rules and regulations. 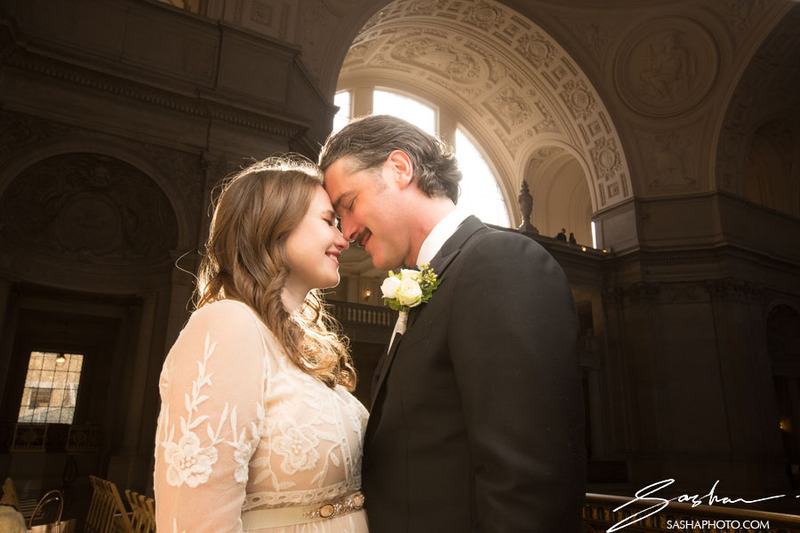 Trust me: I’ve worked as a San Francisco City Hall wedding photographer for over 10 years. 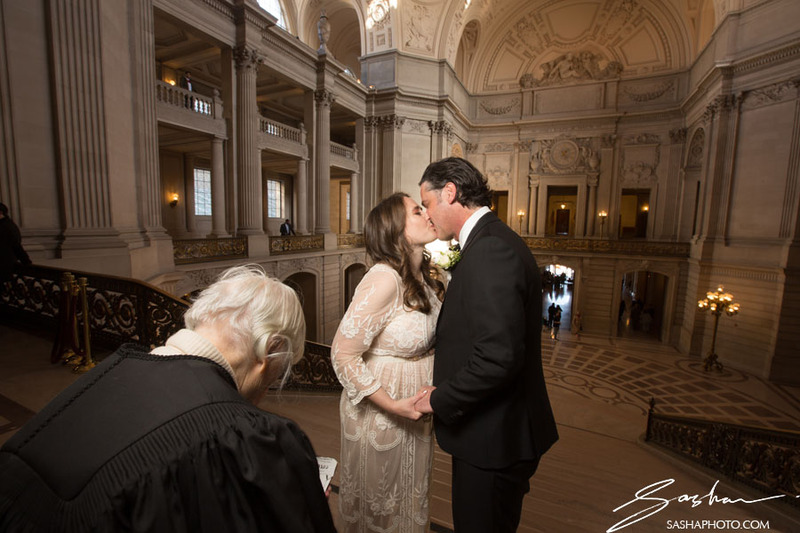 If you heed the San Francisco City Hall rules, it will improve your wedding experience. It will also improve the experience of other brides and grooms. 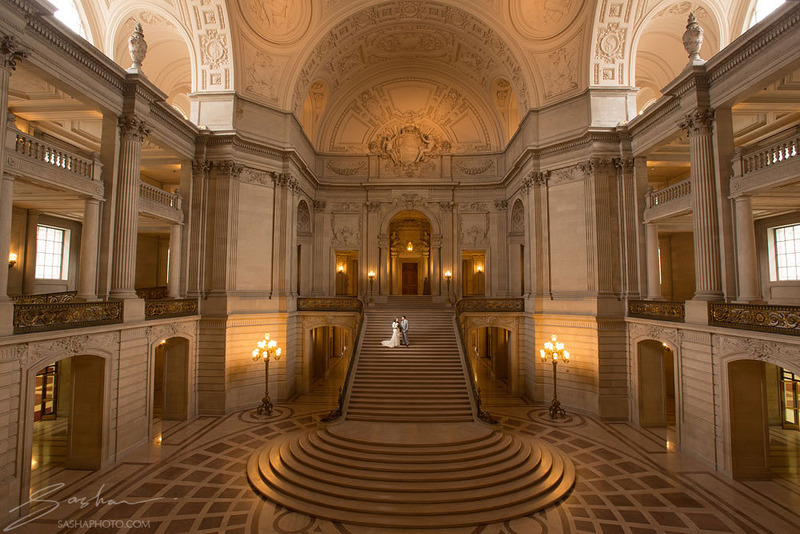 Moreover, obeying the San Francisco City Hall rules ensures that the building will continue to be the treasure it is for many years to come. This rule is not written anywhere on the City Hall Events website. But if you only remember one thing from this article, let it be the Golden Rule. Treat others the way YOU want to be treated. I will elaborate more on all of these points below, but here’s the bottom line. 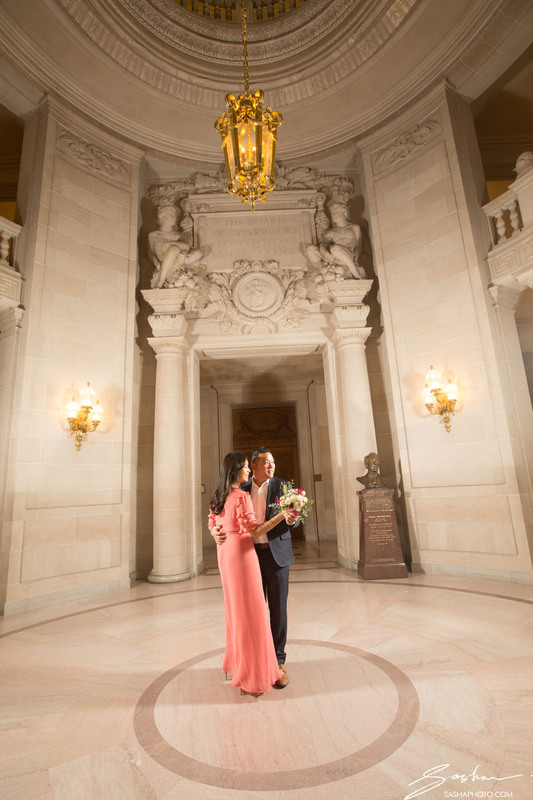 Want to have a few minutes of privacy for your civil ceremony in the Rotunda? Then keep clear of the ceremonies preceding and following yours. 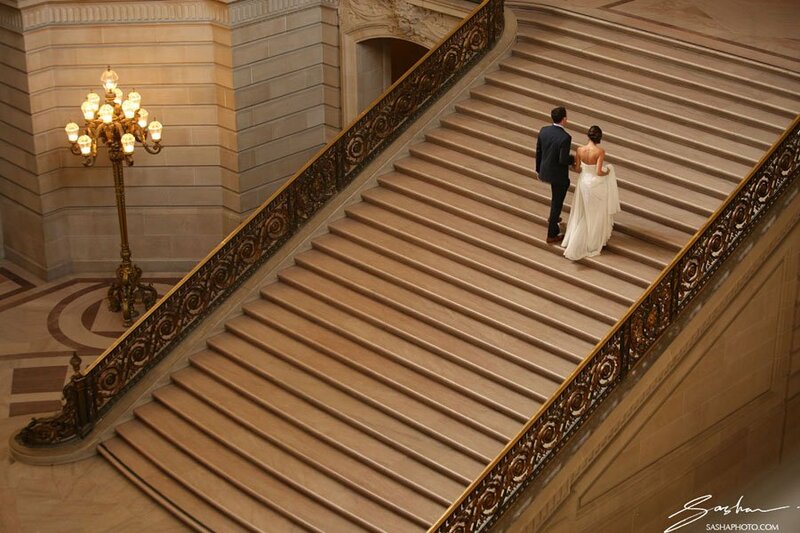 Need a few beautiful photos on the grand staircase? Don’t monopolize it for a half hour. Give other couples a chance. (Note here: I don’t ever expect to have a completely empty staircase. 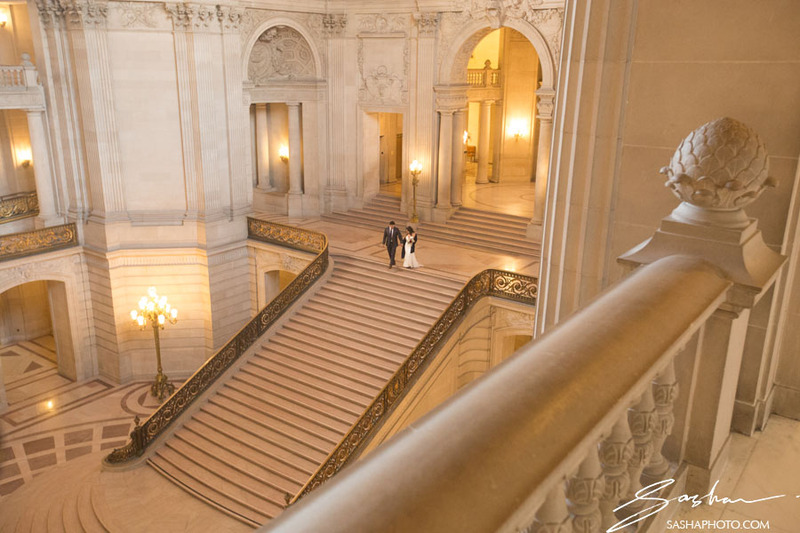 Most of my San Francisco City Hall staircase shots were taken with plenty of people on it. I just use special techniques that give me creative flexibility and save my couples time!) 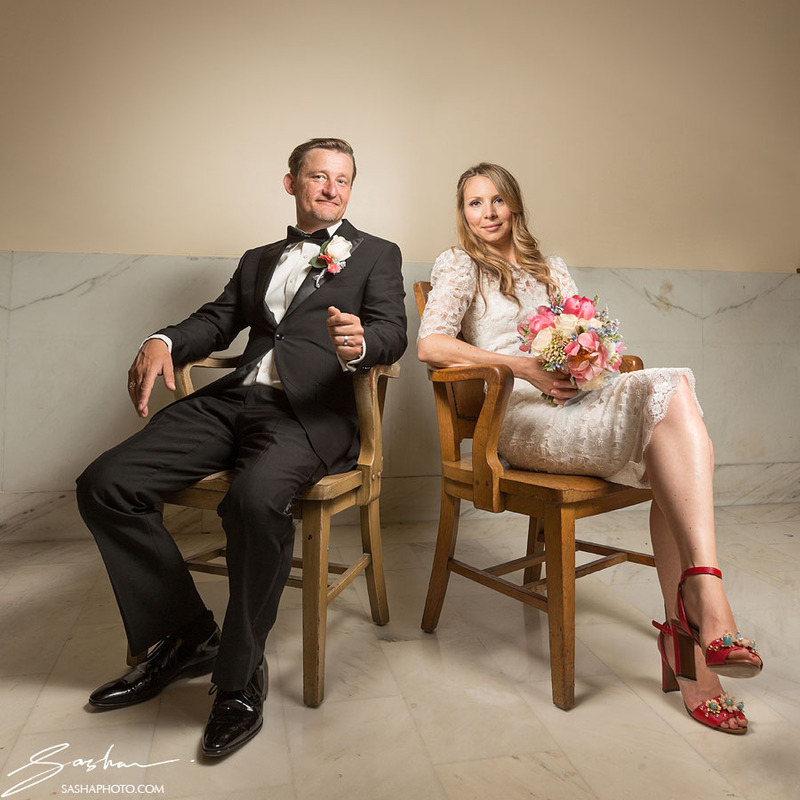 Generally, whenever you see other couples, photographers and wedding guests doing things that make you cross – check your own wedding crew. 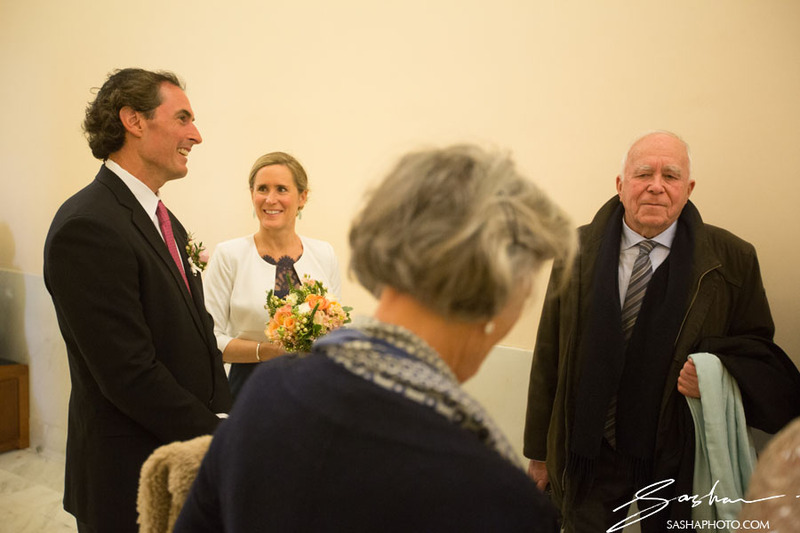 How Many Guests Can I Really Bring to the Ceremony? I get this question all the time. 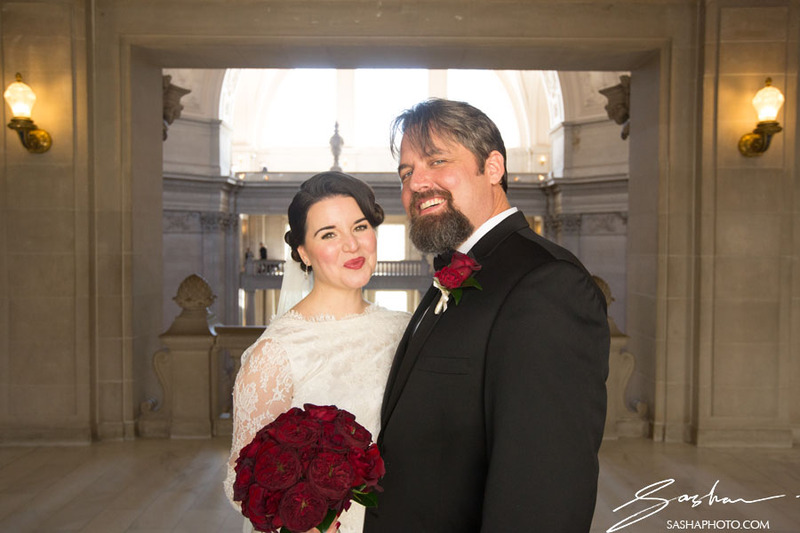 City Hall policies clearly state that 6 guests and a photographer is the maximum for the civil ceremony. However, people tell me that they “know City Hall doesn’t enforce the policy” or that they’re simply planning on bringing 50 guests and that’s that. 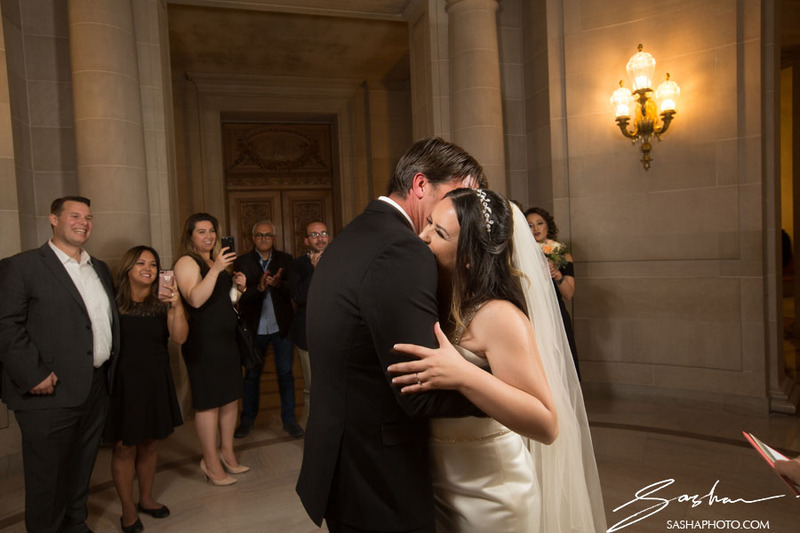 Here’s the reason this is one of the key San Francisco City Hall rules: a massive guest list inevitably slows down the ceremony process, and negatively impacts other couples. It’s pretty much a law of physics that the larger a group of people, the more coordination and effort are required to move this group from place to place. Groups containing elderly people and small children move especially slowly. Big guest lists mean big parking issues. (City Hall plaza parking can be quite challenging, especially on Fridays). Larger groups mean that someone is inevitably either “going to the bathroom”, “in the bathroom”, or “on their way back from the bathroom”. The upshot of all of this? 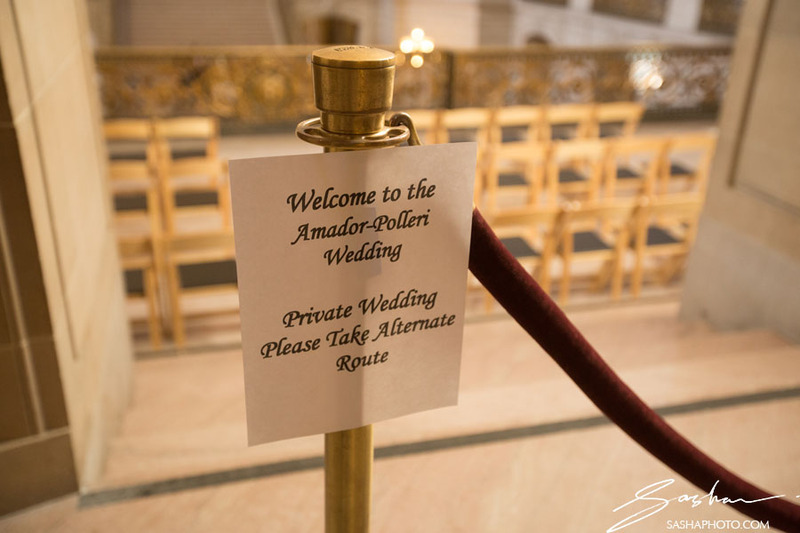 A large group of guests – especially one that’s not properly managed by an experienced San Francisco City Hall photographer – will negatively impact the punctuality of City Hall’s process. I’ve seen many examples of this, and it’s always frustrating for the couple whose ceremony runs 45 minutes behind schedule. So be kind and considerate to your fellow brides and grooms. 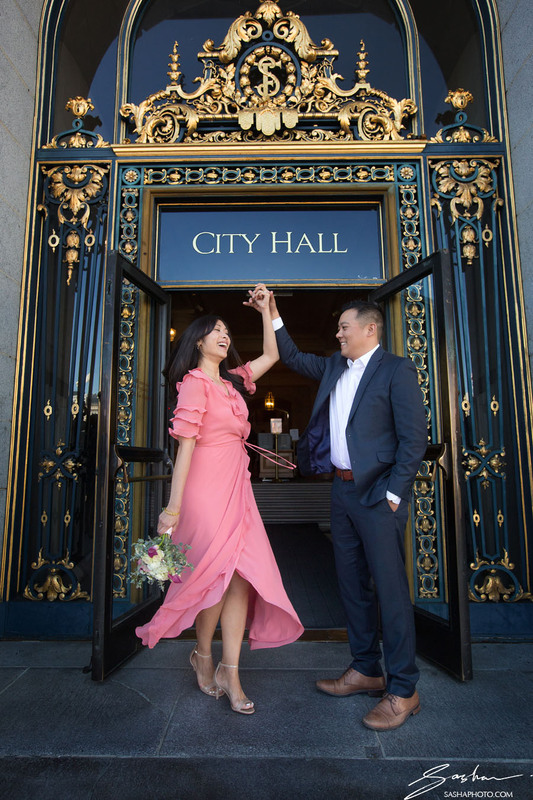 If you want to have a big City Hall ceremony, please invest the money and get the one hour City Hall ceremony reservation. 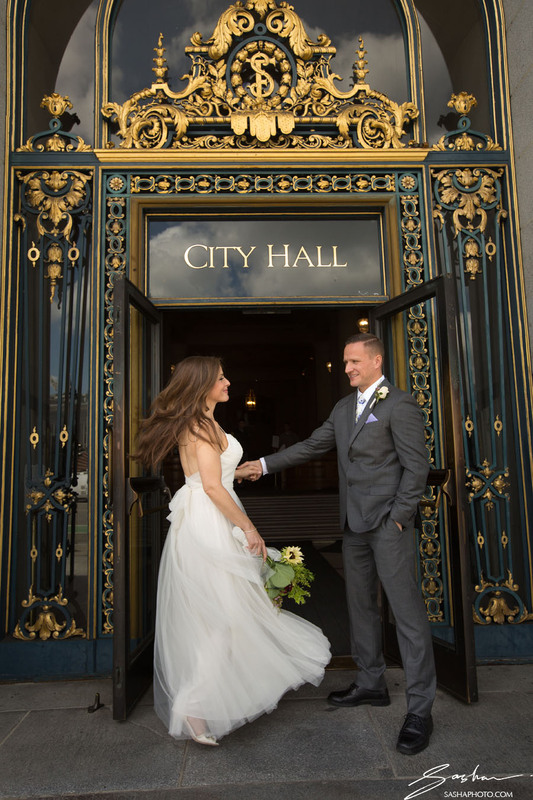 You’ll have access to either the Mayor’s Balcony wedding or the 4th Floor Wedding. Yes, it’s an investment, but you’re going to significantly improve the experience of your guests, as well as everyone else that’s come to celebrate their wedding that day. One of the first places where things can break down is the County Clerk’s hallway, Room 168. This space is for administrative purposes only. It’s where you obtain your marriage license, and where you check in for your wedding ceremony 5 minutes prior. That’s it. You will not be married in that office, and your family and friends won’t miss a thing. 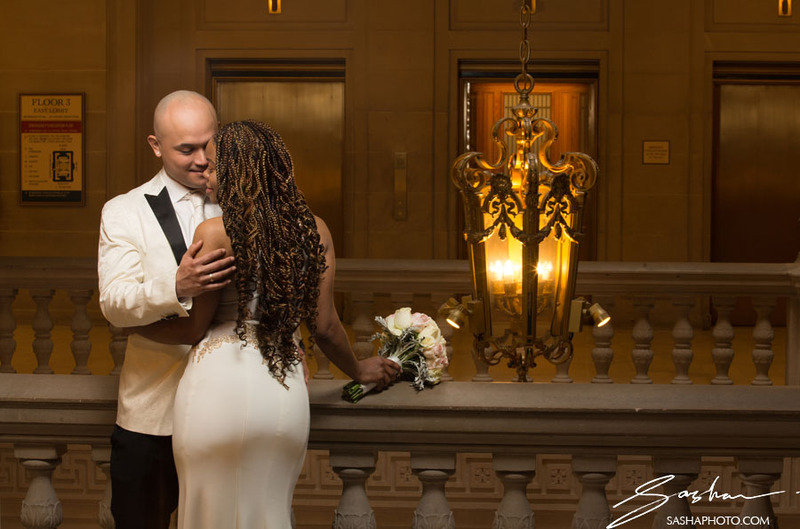 You, your partner, your one (or two) witness(es), and your photographer are all that’s needed (and all that’s allowed!). Please wait patiently in line until you’re called by the staff. I’ve seen some couples try to cut the line or barge in to the office before they are invited. The staff does not appreciate this. The hallway is small, hot, crowded, and highly un-photogenic to the inexperienced photographer. 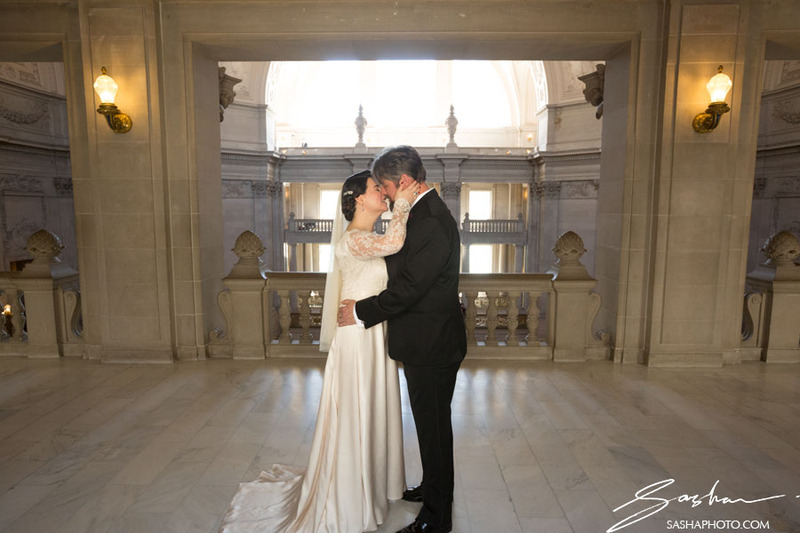 I have taken some awesome shots in the County Clerk’s hallway, but that’s because…I’m a professional photographer and I’ve documented hundreds of City Hall weddings! 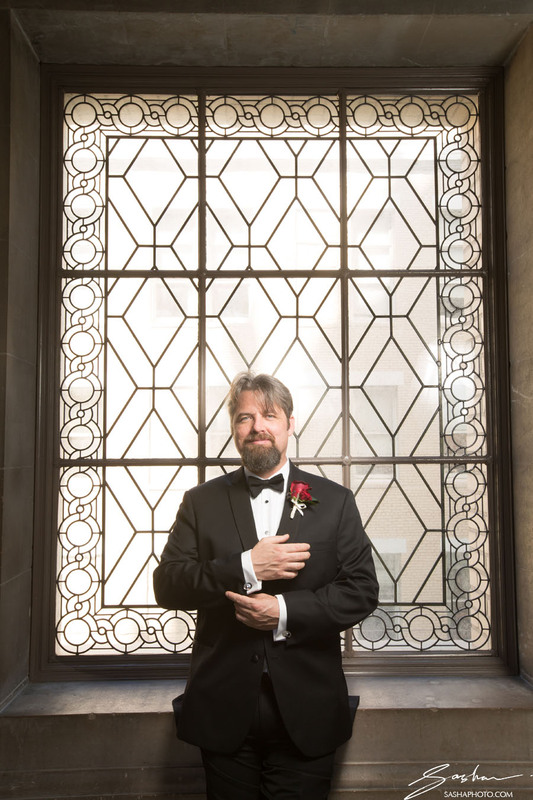 I highly encourage you to tell your guests in advance: wait outside the hallway, in the main atrium of the building. 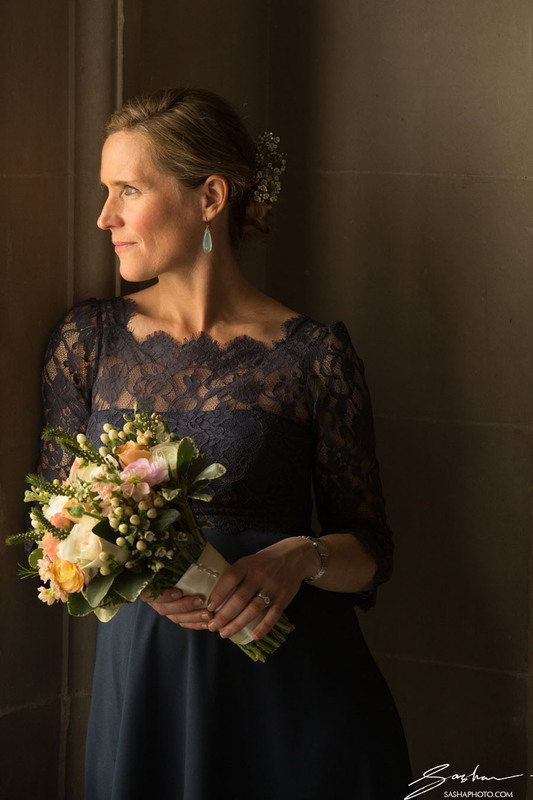 The City Hall County Clerk’s Office works really hard to process dozens of weddings each day, and they don’t appreciate people breaking this rule. I’ll repeat it again: the couple, photographer, and one or two witnesses. 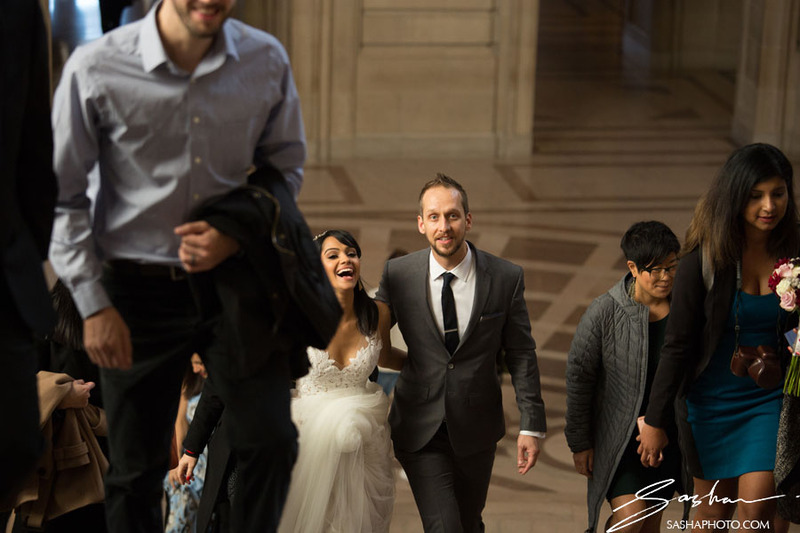 After this administrative portion concludes, we always exit the hallway and collect all guests en route to the ceremony. If there’s something unusual going on in the building, we will let the guest know and adjust our plans. 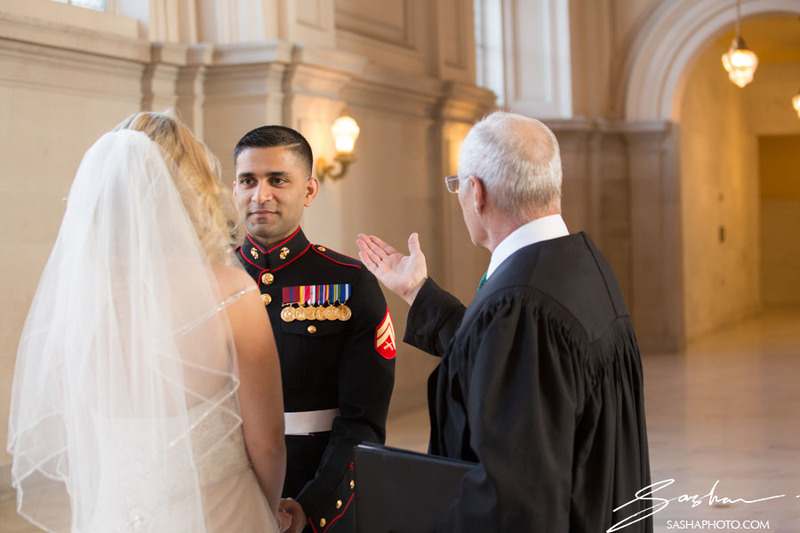 There are two things you must have with you at the ceremony check-in appointment. Your marriage license and your VALID government ID’s. 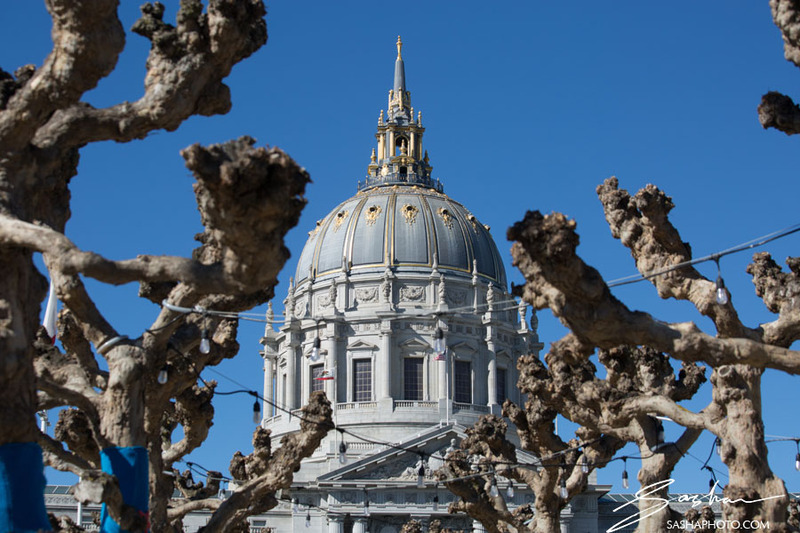 These are the San Francisco City Hall rules. 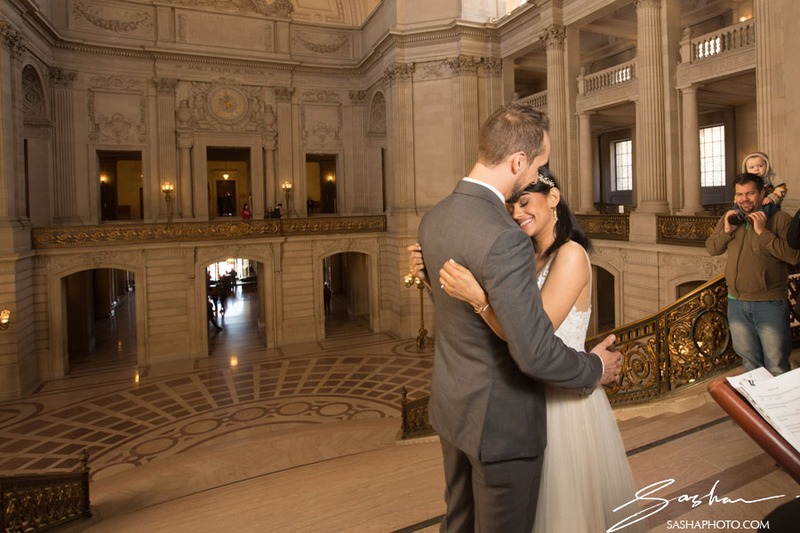 Really, these are the two things you need to get married at City Hall, so make sure you’ve got them in hand. 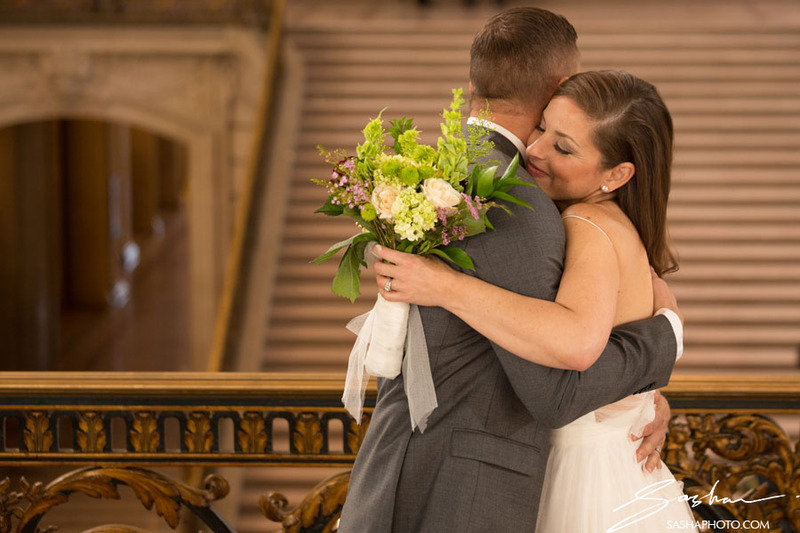 I have seen many situations where couples forget to make a marriage license appointment, leave their ID’s behind in the hotel, or forget than an ID is expired. These things are essential. Be on time for your appointments! 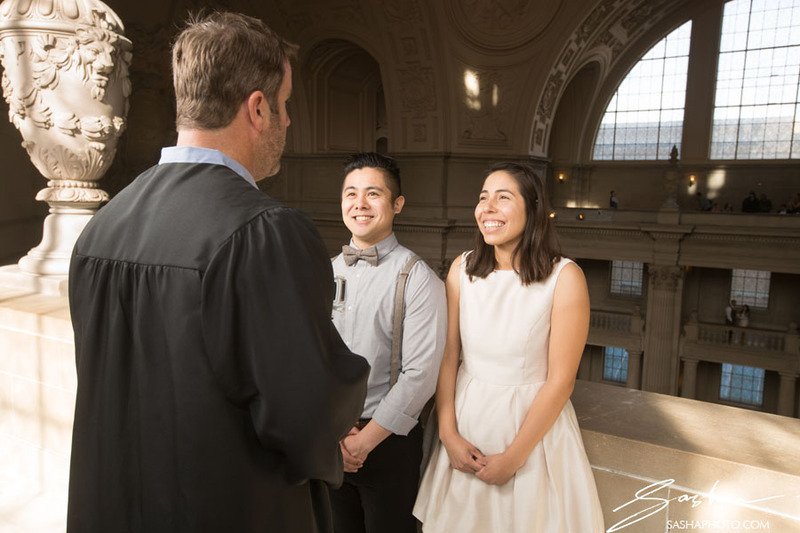 If you are late to your marriage license and/or ceremony spots, it will throw off the calendar for the day and impact other couples. It may also mean that your ceremony will happen a lot later than planned, and that will impact your own plans. 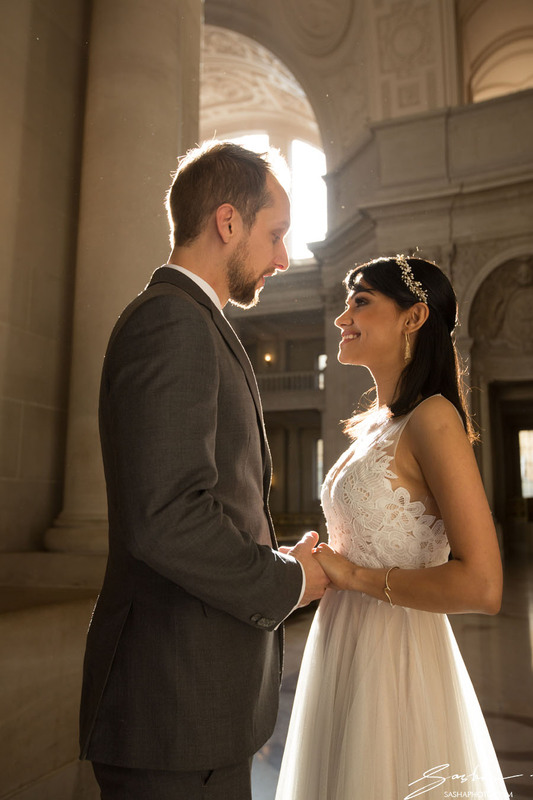 It’s almost a law of physics that things take longer to accomplish on a wedding day. Hair and makeup have a tendency to run late. Last-minute dress fixes are required. You forget something in the hotel room. Traffic is worse than usual. Build extra time cushion into the wedding day. There’s “time”, and then there’s “wedding time”. Add 15-20 minutes for each part of your schedule. 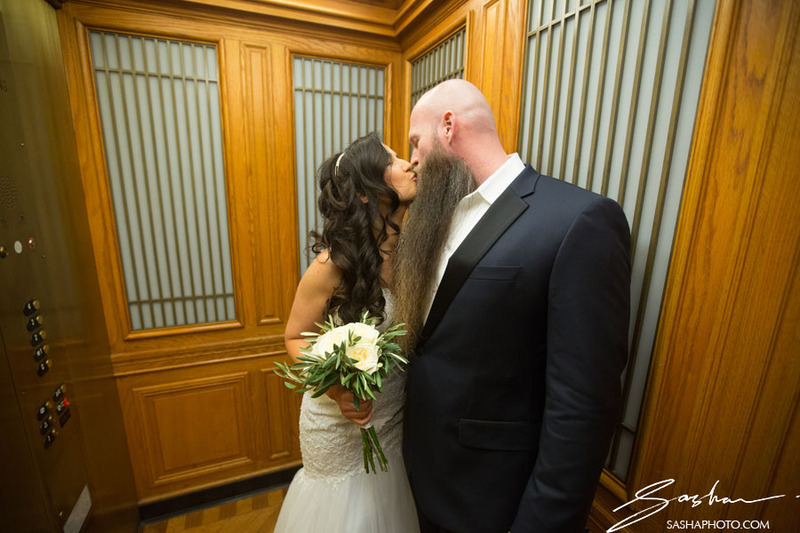 Get conservative estimates for hair & makeup. Make sure your hair and makeup team are aware that you MUST leave to City Hall at a certain time. They need to work backwards from that time, with a cushion, to make sure your prep starts early enough. In my experience, this is often the part of the day that runs behind schedule. If that happens, it will snowball into the rest of your plans. If possible, avoid driving to City Hall at all costs. Take Uber, get a limo, take a taxi, walk. City Hall is an active civic area and parking is usually hard to come by. Street closures and special events are the norm. Caution your family and guests about the same. Tell them to avoid driving, or if not possible, at least consolidate cars to minimize the parking scramble. Take less stuff. Leave prohibited items at home or in the car. Security is tight at City Hall. They will search your bags and you’ll have to pass a metal detector. If you have any common items on you that can be construed as dangerous, it will slow you down (e.g. corkscrew, nail scissors, pocket knife, etc). You don’t need much with you at City Hall. The building is quite warm regardless of the time of year, so don’t bring too many extra layers. Bring a simple and convenient bag to pack your wedding shoes, comfy shoes, and outdoor clothes. 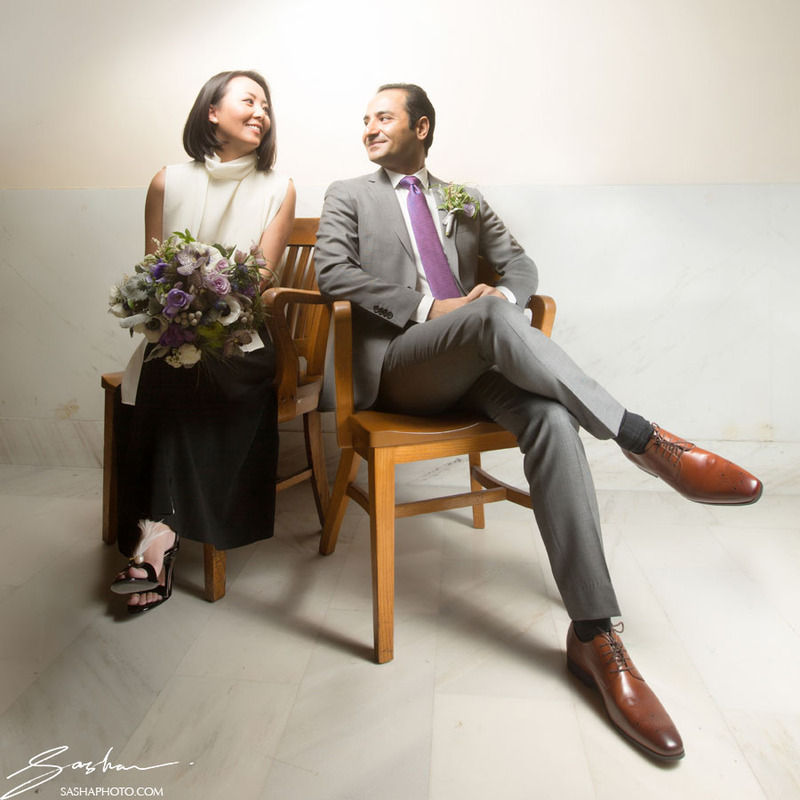 Be smart about your wedding shoes. You’ll be doing some walking before you arrive at City Hall. 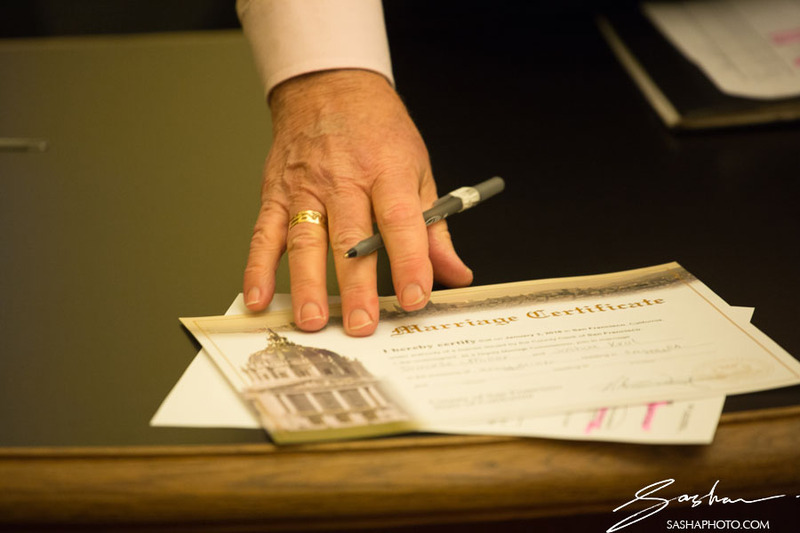 Then, before the ceremony and creative shots, you’ll likely spend some time going through the administrative process. There’s really no reason to wear your killer wedding shoes until you’re through with this process. Save your feet and wear comfy wedges, flats or flip flops. Additionally, you’ll be able to walk much faster in these comfy shoes, and you’ll save a surprising amount of time! There are many people working inside the building to make dozens of wedding happen every day. The County Clerk’s office staff are great people. 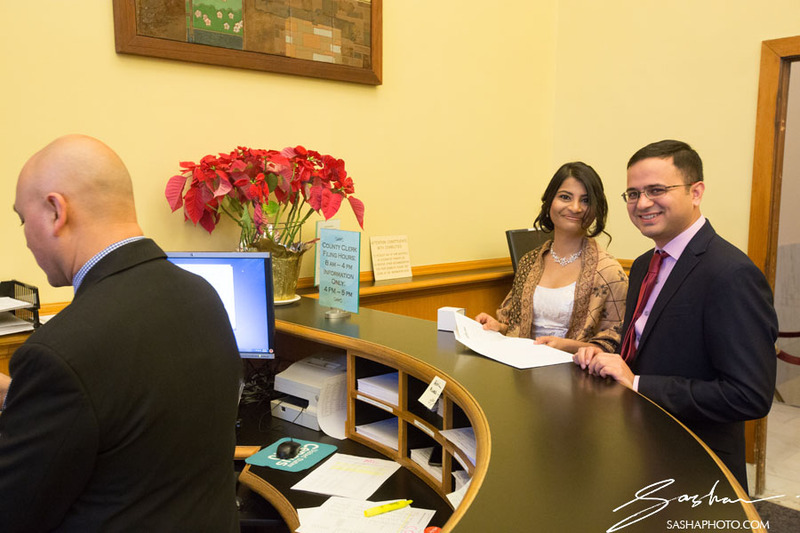 They stay busy making sure that people have their documents in order, and that the wedding process goes smoothly. The security guards are there to enforce San Francisco City Hall rules and ensure safety of everyone in the building. 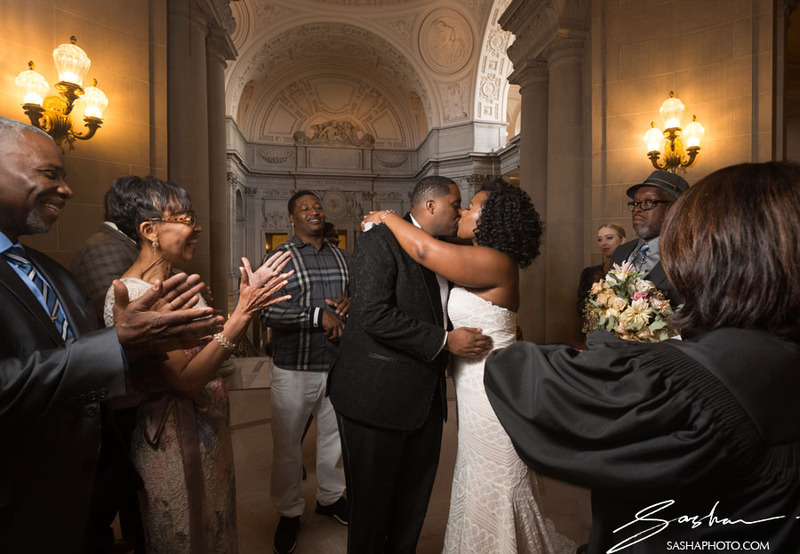 The San Francisco City Hall wedding officiants are volunteers that dedicate their time to marrying couples. They don’t get paid – they do it because they love the work. The janitorial staff are constantly scouring the building to keep it looking beautiful and presentable. The facilities guys are setting up and breaking down chairs for multiple ceremonies every day. All of these folks combined help keep the City Hall wedding machine running efficiently and seamlessly. 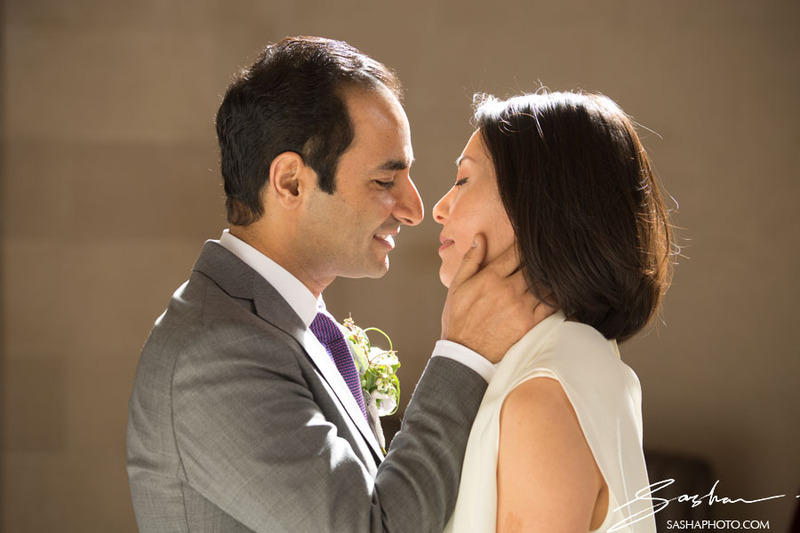 Working together, they allow each couple to have a smooth and meaningful wedding experience. So please, make sure you and your guests are respectful of these people. Be patient. Follow their instructions and treat them nicely. Don’t make excessive noise (Remember the Golden Rule. 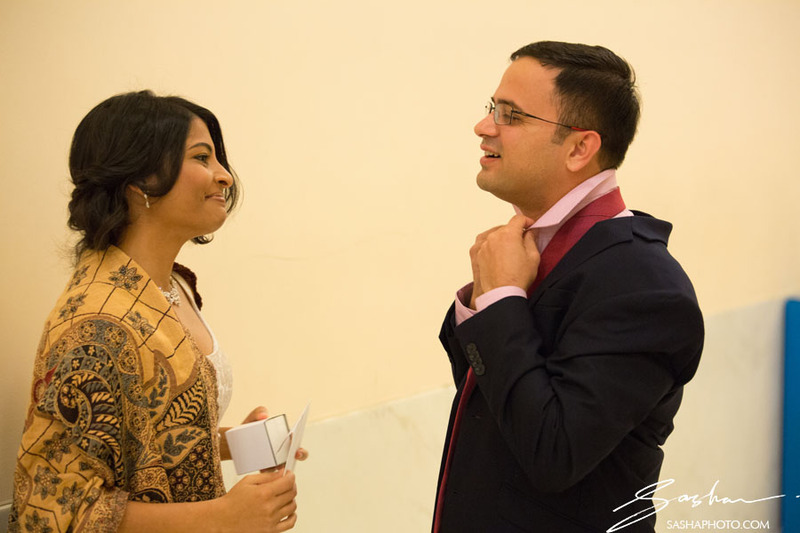 How would you feel if someone was talking loudly or screaming during your wedding ceremony?) Don’t climb ledges, don’t do anything foolish or dangerous. Obey posted signs. 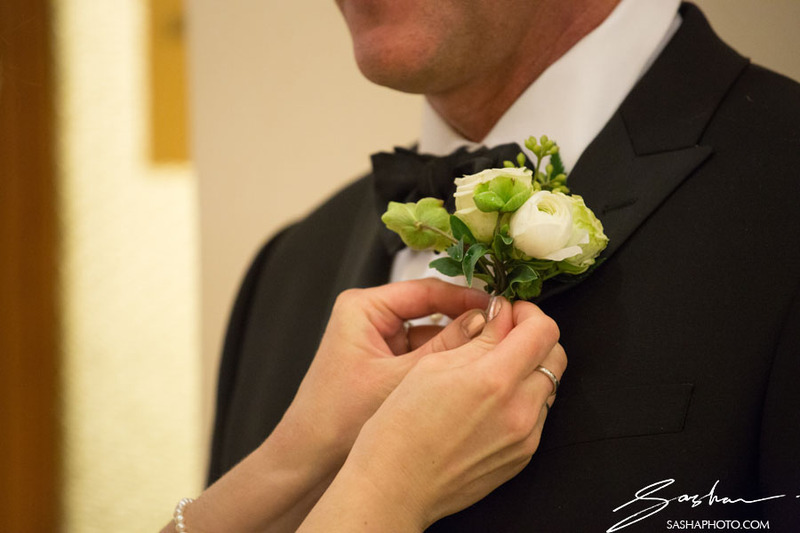 I also ask that you and your guests make it a point to respect the privacy and enjoyment of other wedding couples, their guest and of course, their photographers. Let’s please play nicely together, give each other some space. 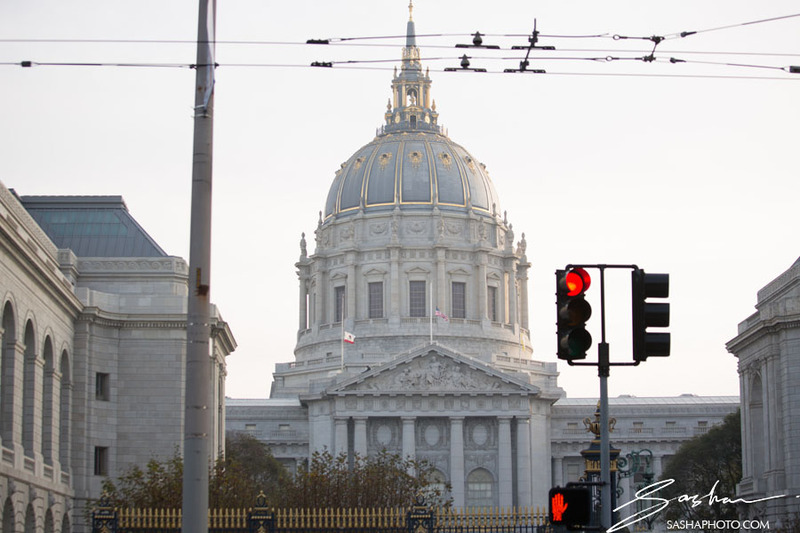 As long as we all follow the San Francisco City Hall rules, there will be plenty of City Hall for everyone. 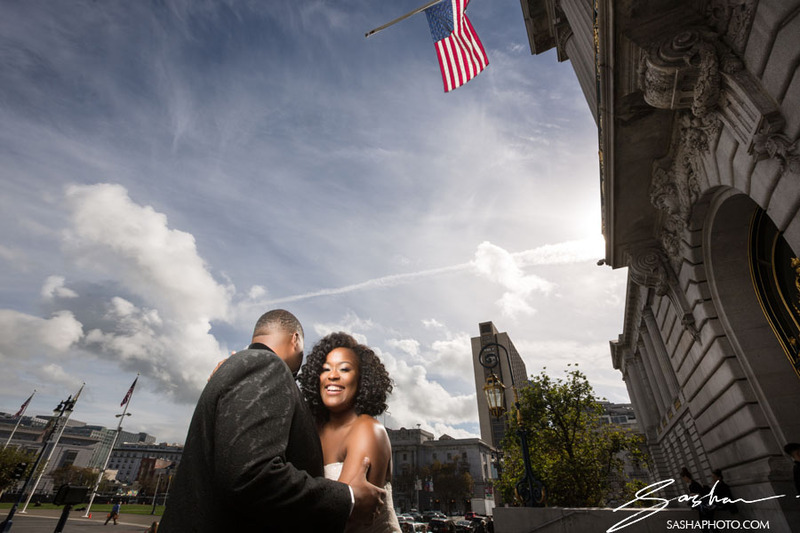 We are in the Bay Area, so there’s a melding of many cultural traditions happening daily at City Hall. However, please refrain from doing things that will make a mess. Because (a) it might be dangerous and (b) someone else has to clean it up. Don’t throw rice or flower petals unless you plan on cleaning it all up yourself. Rice is messy, dangerous to birds, and also presents a slip and fall risk. Petals must be cleaned up. If you want to organize a grand exit from the building, soap bubbles are an excellent choice. They are harmless, fun for adults and kids alike, and look fun in photos! Make sure you and your guests carry away or throw away things like water bottles, flower vases, boutonniere containers, empty boxes, etc. There are trash receptacles all around the building. Don’t leave a mess for the next couples. Yes, it is possible to bring your emotional support dog into the building. 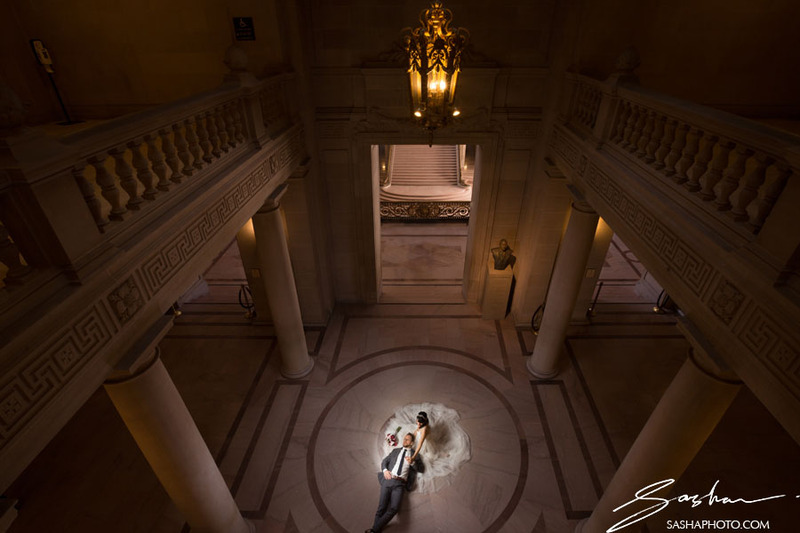 That’s a totally legitimate use of the San Francisco City Hall rules. 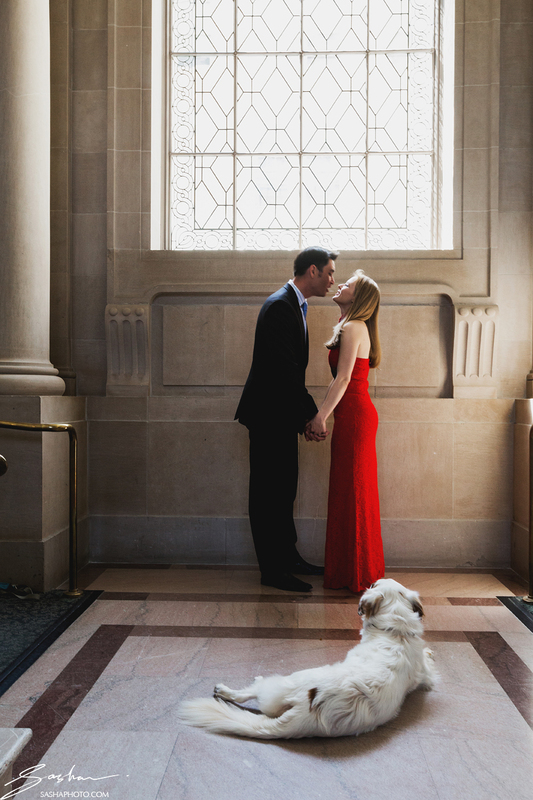 However, I have been made aware of instances where people were abusing this policy simply because they wanted to take wedding photos with their dogs. (And the dogs were not really for emotional support). City Hall is full of people, and there are many kids running around as well. Not all dogs can handle large crowds well, and not all children can handle strange dogs. If you are thinking of bringing a dog into City Hall, please think carefully about how that decision may impact others. I hope this section on San Francisco City Hall rules & regulations has been helpful for you. As a photographer, my job is to guide, observe, and lead my clients. I was able to write this article because I have observed all kinds of behavior over the years. 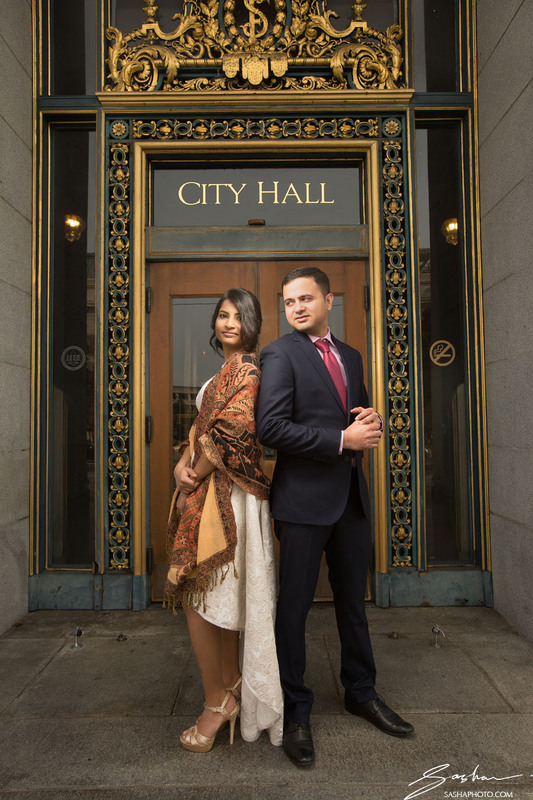 I believe that following San Francisco City Hall rules is the best way to ensure successful results for everyone.